Congratulations! You have taken a step that many people dream of: you’ve started your own business. The marathon has begun. In the grand scheme of business operations, this is the easy part. You’re excited, motivated and enthusiastic. You have great tunes on the iPod and crowds of supporters running alongside you and waiting for you at the finish line. Four or five miles into the race, however, you feel a twinge of pain in your side. You begin to wonder, “Should I stop? Am I really cut out for this?” Your friends seem gleeful and focused as they push forward promising to meet you at the tape. In your head, you hear the words of a close confidant saying, “There was a reason I urged you to train before attempting to run a marathon.” There are the few blessed ones who finish the marathon with little to no preparation, but, the vast majority of us surrender to fatigue long before the 26th mile. It is not much different in the business world. Many start-ups launch quickly and dynamically–and burn out just as abruptly. Preparation, planning and balanced growth are crucial to increasing your chances of success in business. If you did happen to launch quickly out of the gates without a plan, remember two things: 1.) You are not alone. 2.) 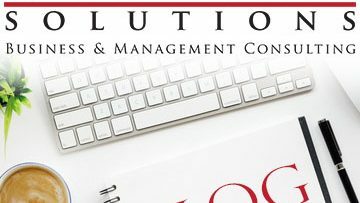 Seeking guidance from a professional management consultant is a great way to keep your business on track. One major difference between running a marathon and running a business: once you’ve started the race, you can’t go back and get the training you should have had. Not so in the business world. If the business you’re running is causing you pain, take a step back and assess the root causes. Are you overwhelmed with work and wondering if you should add staff? Are you getting leads but not closing sales? Are you doing great work and keeping clients happy, but still struggling to stay in the black? Take some time to think about it, and take note of what you conclude. 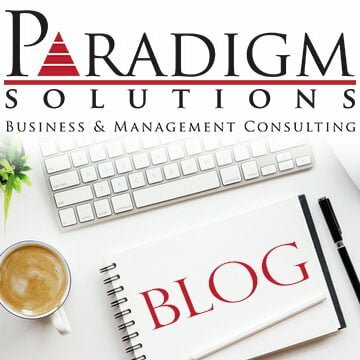 In an upcoming post, I’ll share a complimentary business planning checklist that will help address some of these challenges, and help position your business for success.